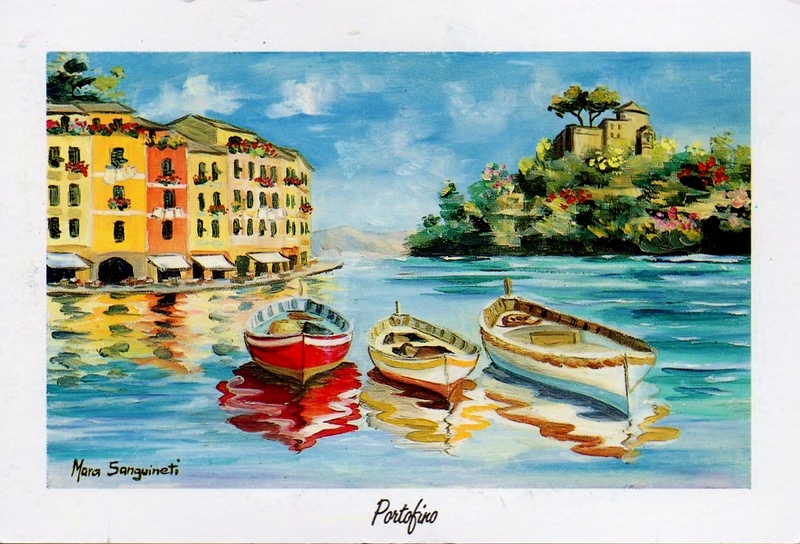 This painting of the tiny quay at Portofino, by Italian artist Mara Sanguineti, is vivid and although it features simple lines, it conveys the warmth and fairytale-esque beauty of this tiny village, which is now very popular with tourists, millionaires on superyachts and royalty alike. The old fishing village’s alleyways and winding cobbled streets now glitter with designer boutiques, expensive jewellers and art galleries. Despite the tourists that visit the village, which is most easily reached by boat from Santa Margherita, it’s still an unbelievably romantic location and taking any of the little pathways into the countryside just next to the village will bestow stunning views over the port. It’s simply impossible to not fall in love with Portofino.